Thousands showed up in support of a myriad of issues and policies. 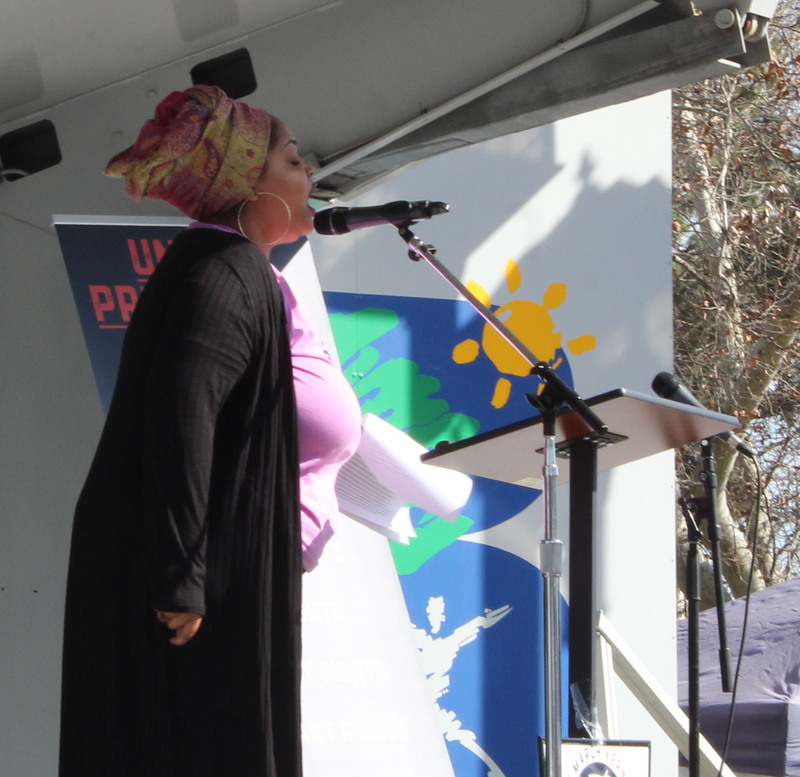 Faheemah Salahud-Din speaks out about racial disparities in both Bakersfield and the feminism community. 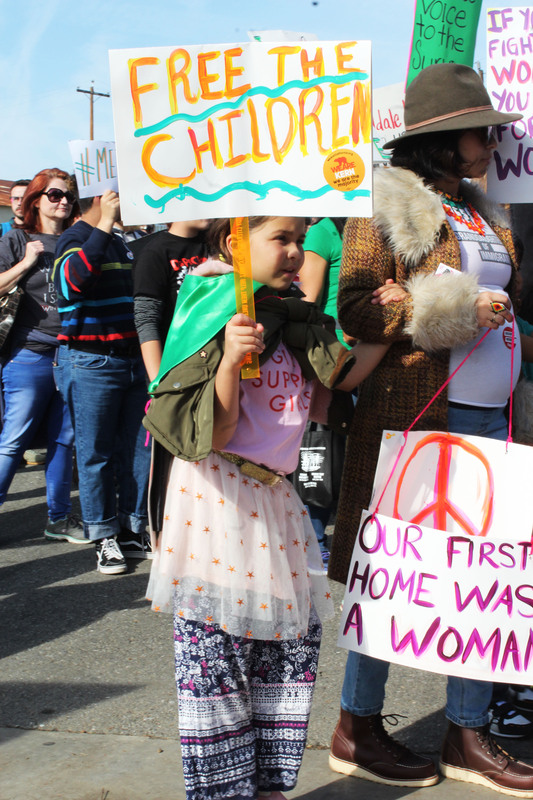 Some speakers shared poems and sang songs, while others spoke about rights for the disabled, immigration rights and environmental rights, and how these issues specifically affect women. Korina Gallardo spoke out about the lack of safe drinking water, specifically for Californians living in poverty. Those who didn’t speak in front of the crowd still showed up to raise awareness to issues that affect women that are important to them. Eli Swanson, 15, attended the event to support not just the end of harassment against women but transgender women in particular. Jose Cortez, 14, learned the march supports more than women’s rights. He said it also supports immigrant rights. As the march took place, people in their homes, cafés and shops came out to watch, some shouting words of encouragement. Police officers were present, offering smiles and nods to the marchers. Lizette Chavez is a youth reporter for South Kern Sol. She is a student at Bakersfield College and has been selected to partake in South Kern Sol's CA 2020: Democracy Media Fellowship.